Amanda Coleman, who next month will become the first public-sector comms professional to be made chair of the PRCA Council, has identified boosting PR as a career option in schools and promoting its social benefit as her two priorities. 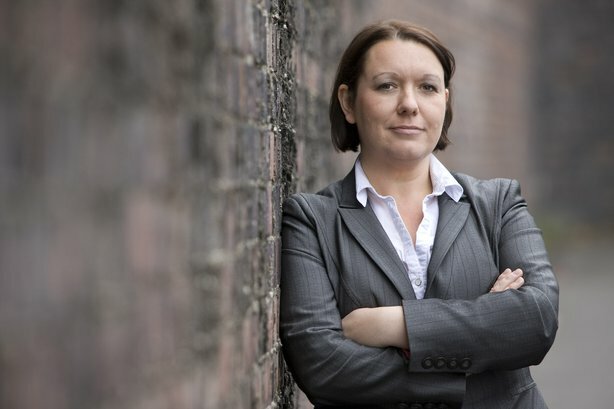 Speaking to PRWeek ahead of a meeting of the council tomorrow (Thursday), Coleman, head of corporate comms at Greater Manchester Police, stressed she is keeping an "open mind" over what she would like to achieve over the coming year. The police comms chief will canvas opinion from existing PRCA Council members so that she can "hit the ground running" in January, when her she takes over as chair from Jonathan Chandler, chief executive of Quiller Consultants. She admits to still being surprised to find herself in the role of chair of the council, described by the PRCA as "a think tank for the industry" that represents the sector's "most senior practitioners." Coleman was elected as the council’s vice-chair, and designated the 2019 chair, a year ago. She had been up against seven other candidates, including Ralph Jackson, director, Lansons; Blair Metcalfe, client director, MSL; and Gill Morris, founder of DevoConnect. "All I remember is that they all seemed to be from big agencies, so it was quite a surprise when I was successful, because I hadn’t expected it," Coleman said. A former chair of the Association of Police Communicators, she is in the minority of PRCA Council members in representing public-sector comms, rather than being from a PR agency. She commented: "It surprised me that somebody from an in-house public-sector position got the vote for vice-chair last year." In terms of her own perspective, Coleman remarked: "I suppose I’ll have a slightly different view – we don’t have much money, so that always make you think slightly differently – but I think the key for me will be to bring everybody together as cohesively as possible to actually achieve an outcome." A philosophy graduate from the University of Bolton, Coleman has spent almost 20 years in police comms, with a two-year stint heading the press office at Merseyside Police prior to moving to Greater Manchester Police more than 17 years ago. Before working in police comms, she was a PR assistant for the Environment Agency’s north-west region. Coleman plans to get a questionnaire to Council members to inform the work of the year ahead. "I want to hit the ground running as much as possible, so I want to try to gather some information on why they’ve joined the Council and what matters to them before we sit down." She highlighted some "really good pieces of work" done by the PRCA Council during the past year, that need to be finished as "they have not quite got to fruition". Coleman cites work looking at "the social benefit of PR and the definition of what that should be" and an attempt to "get PR into the careers library and on people's minds at school". She gives talks at schools whenever she has the opportunity and said: "We’re never going to get those people, [that talent], into the industry, if we aren’t having those conversations in those early stages." Commenting on Coleman's new role as PRCA Council chair, Matt Cartmell, deputy director-general of the PRCA, said: "It’s an honour to have Amanda take the reins of the Council in 2019. As the first Council chairman to do so who is a public-sector communicator, we’re looking forward to gaining from her unique perspectives and the high-profile campaign work she’s been involved in."